We were so lucky in our Reception classrooms to have 12 eggs given to us to look after. We had to make sure the incubator stayed warm and had some water in the bottom of it at all times. After two days a few of the eggs hatched out and we had the most beautiful little chicks. By Friday we had 9 eggs hatch! The yellow coloured ones are the cockerals and the ginger coloured ones are the hens, so we had 3 boys and 6 girls. 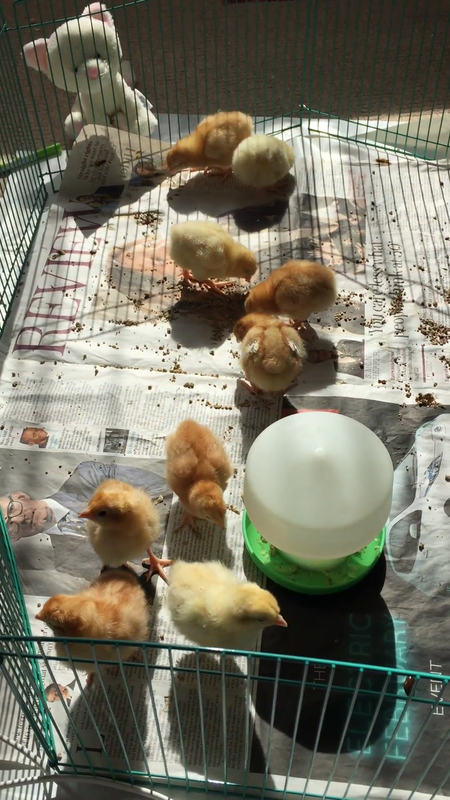 The children were able to watch the chicks over the two weeks and see how they changed as they got older. It was incredible how quickly they fluffed up after hatching out and how quickly their real wing feathers started growing through their down feathers.